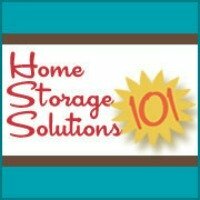 This is the spot on my site where I have gathered up all the recommended products, books, programs and stuff I have found that I really like and thought was useful for you, your family and your household to get organized, scheduled and overall running smoothly. I have found a lot of these things through word of mouth myself, while trying to make my own journey through the world of household management and raising a family. That means I have read, listened to, or used these products and liked them enough to tell you about them. Feel free to explore the products and resources listed below to help you enjoy, and find fullfillment in your family and home life. List Plan It - List Plan It is a great resource for printables and checklists that you can use in your household notebook. 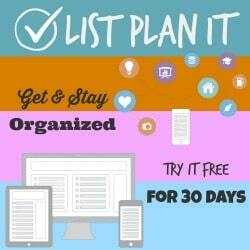 In fact, I subscribe to List Plan It myself, and use many of the printables available for download in my own household notebook that I use everyday in my home. You can read my List Plan It review, for more information. 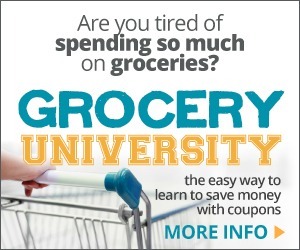 Grocery University is a digital audio course that is over two hours long which explains, in great detail, how to make the most of your grocery budget. Whether you are new to couponing and frugality or have been practicing these skills for years this information packed course will definitely tell you something new. I have read somewhere that one of the easiest places to save money in most family budgets these days is on grocery shopping, and I know for our family that is true. This course will teach you how to cut costs without sacrificing what is truly important for your family when it comes to your grocery shopping. SBI (Site Build It!) - I have used SBI to build this website, and honestly cannot think of a better way to create one than with this company. I know very little about technology, which is something my husband and I laugh about a lot since I own two websites. But with SBI that is OK, since they have detailed instructions for almost anything you want to know, awesome technical and customer support, and the best and most helpful forums I've ever seen. Best of all, I have used SBI to build my own business to help support my family, and am having fun doing it! Well, I hope some of these recommended products and resources I have come across can help you in your journey to become an even better household manager for your family, and for yourself!